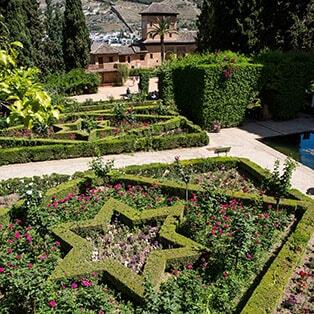 The visit commences at the Alhambra Atrium, and continues with the Nasrid Palaces were you can visit the following areas: Mexuar, Palace of Comares and Palace of the Lions. These tickets can be purchased through “print at home”, on the TVRs or at ticket office. This last procedure can cause an unnecessary wait. 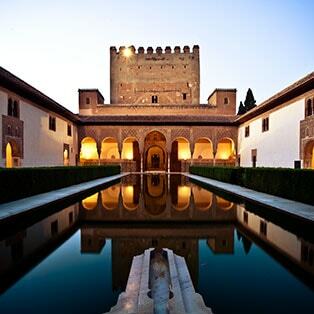 The Night Visit to the Nasrid Palaces does not includes the admission to the Generalife, since there is a specific nocturnal visit to get to know this illuminated area and it has the same visit hours. 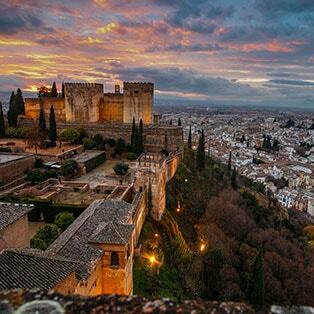 Access to the Palace of Carlos V is free. Tuesdays to Saturdays: 22.00 h. – 23.30 h.
(*) The beneficiaries of gratuitousness or reduction in the price of the ticket must present at the box office the official, valid and updated proofs of belonging to the collective object of gratuity or reduction (retirees, holders of the young card, people with disabilities …) on the days of the collection of the ticket and the day of the visit.